I’ve decided I need to write another cookbook. My Oh, For Real cookbook is almost out of stock, and I’ve learned a lot more about simple real food cooking since I wrote that one. My Best of Heavenly Homemakers book is selling well, but there are very few recipes included. I think I need to write a cookbook filled with all these super simple real food recipes I’ve been sharing so we can help lots and lots of families put great, nourishing meals on the table without hassle or big expense. Hmmm…my wheels are now spinning with new cookbook ideas. What are your thoughts and ideas about this??! 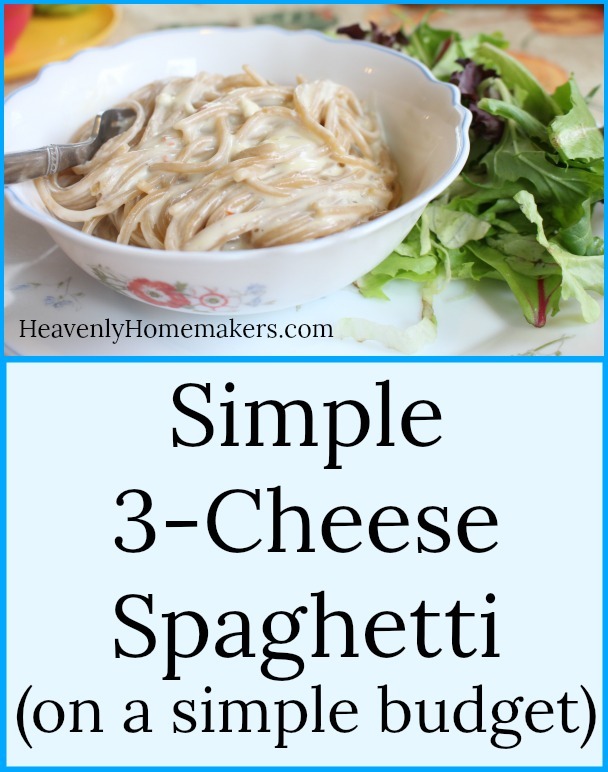 Today’s Simple Three-Cheese Spaghetti recipe is super creamy and flavorful. We use Pepper-jack cheese for this, which gives it a nice kick. If your family doesn’t like spice, you can stick with Colby-jack, cheddar, or any of your favorites! Cook spaghetti noodles according to package; drain. While noodles are cooking, saute garlic and olive oil for 1-2 minutes in a medium sauce pan. Remove from heat and add remaining ingredients to the pan. Place back on the burner, and cook and stir sauce ingredients until cheeses are melted and sauce is smooth and creamy. 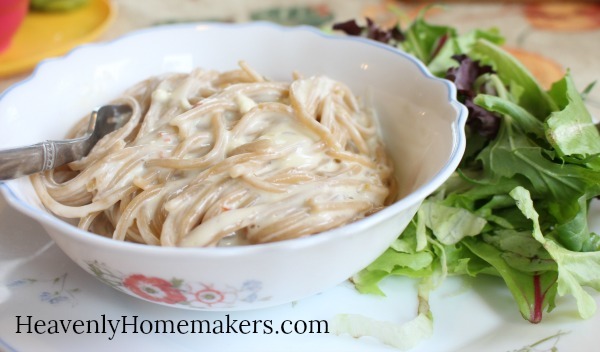 Pour cheese sauce over the cooked spaghetti noodles and serve. 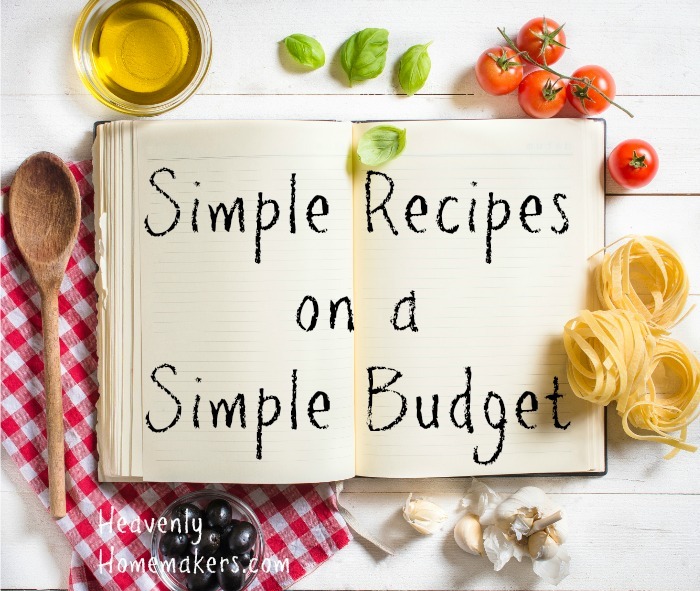 Catch the running list of Simple Meals on a Simple Budget here. Want even more Simple Recipes? Enjoy all these recipes without effort when you become a Simple Meals member! Every week we’ll send you a great menu plan full of Simple Recipes like this one. We’ll equip you with a grocery list. We’ll break everything down so that your meal prep is as simple as possible. We’ll give you bonus tips and recipes and freebies. And this is all for just $1 each week. You’ll love it! Your yearly subscription equips you with a 52 week's worth of meal plans, grocery guide, recipes, and bonus tips! Your Simple Meals plan will arrive in your inbox each Thursday morning. Let’s make a long story short, shall we? When you put the words “bacon” and “cheeseburger” in the same title, everyone gets excited. When you add the word “simple” to its name, you know everyone wins. 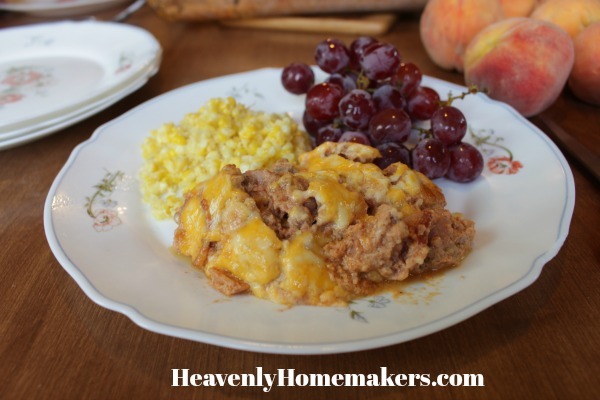 So without even seeing the recipe, you can bet that Simple Bacon Cheeseburger Casserole needs to hit your table very soon! Save yourself some effort and make two or three of these at once. Bake one for your dinner, then freeze the others (unbaked) to use another time. 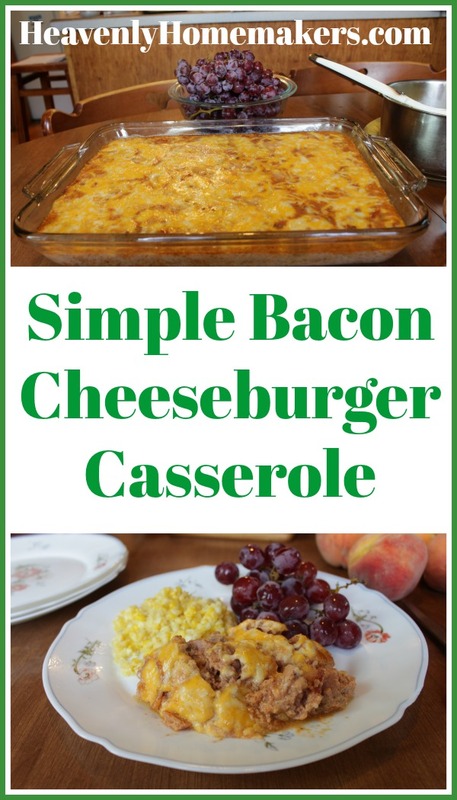 Then you’ve got “simple,” “bacon,” “cheeseburger,” and “freezer friendly” all in the same sentence. All the busy mothers everywhere cried with joy over this news. I recommend making Bacon Bits like this. 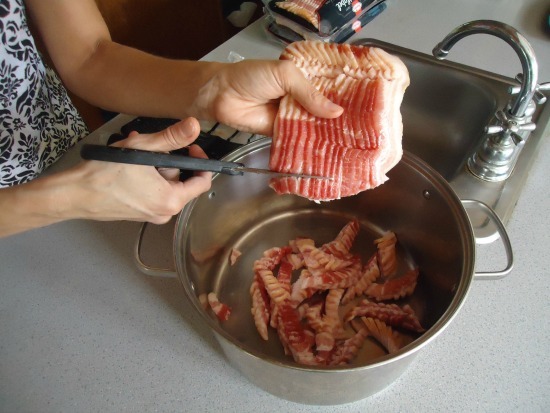 I cut the bacon with kitchen shears to make it simple. In a large pot, brown hamburger, bacon pieces, and minced onion together until meat is no longer pink. Drain excess grease if necessary. Stir in garlic powder, chili powder, salt and pepper, tomato paste, eggs, cream, and 1 cup of shredded cheese. Spread mixture into a 9x13 inch baking dish. 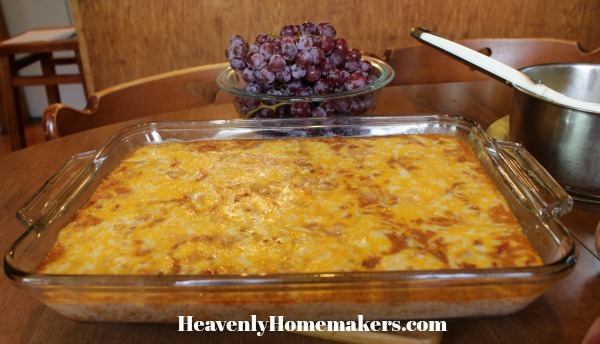 Bake uncovered in a 350 degree oven for 30 minutes or until casserole is hot and bubbly. 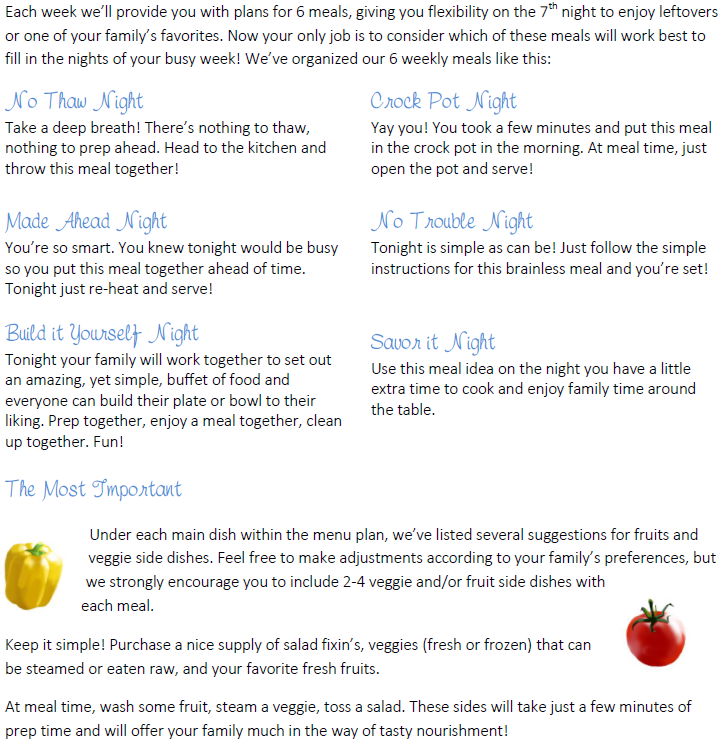 Make life even simpler when you sign up to receive our weekly Menu Planning Packets. One tiny price, loads of weekly help. Read about this and sign up here! Today I thought I’d share a little fun family news, show you a picture of my groceries (you know you love looking at my butter), and share how I’m going to try and keep myself from being overwhelmed as I get meals on the table during a busy week. 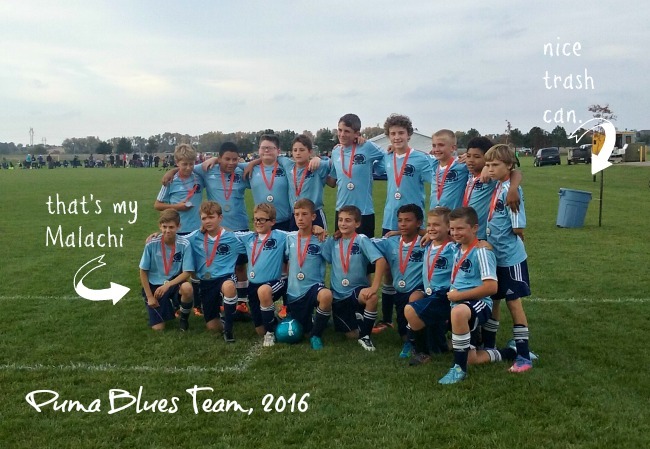 Soccer season ends next week!! I love soccer like crazy, but it also does make me crazy, so I’m always relieved when the season comes to an end. I mostly feel this way because Matt is assistant coach for the York College women’s team and he’s been on the road a lot. I look forward to him being home more. Just as soccer season ends, basketball season begins. This doesn’t add much busyness to my life yet as Justus is driving now and can get Elias and himself to and from practices. My biggest job right now is to make sure they’ve had dinner in time to digest before they leave for practice (and provide a big snack when they get home, obviously). Malachi tried out for our downtown Christmas theater production and got a part!! He is beyond excited and we’re all pretty excited for him. If you’re familiar with The Christmas Story movie, then you can picture Malachi as Flick. And if you’re familiar with Malachi, you know that role fits him perfectly! His practices are every weeknight from now until the shows are live in December. Matt and I are leading a marriage retreat next weekend out of town, something we are looking forward to very much. Justus and Elias are heading to a youth rally this weekend, and then to a big concert on Monday. Therefore, they are working double time on school work to get ahead so they can take a couple days off. Malachi has decided to dress up like his biggest brother Asa for trick-or-treating. (Is that sweet, or is that sweet?) This plan only works if the two of them dress exactly alike for the evening and Asa is the one taking him from door to door. We’re working on coordinating their “costumes” which will likely be some form of athletic wear. I’ll take pictures to share after the big night! 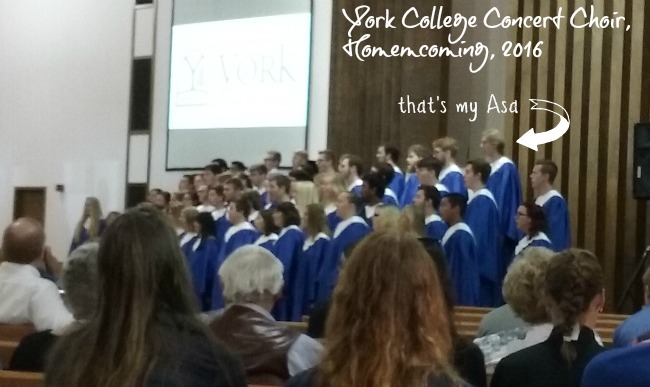 We’re blessed that York College opens up the women’s dorm and apartments for all the kids in the community to trick-or-treat. So, since almost everyone on campus knows Asa, and Malachi looks a lot like Asa (and gets called “Little Asa” by several on Asa’s college soccer team) – this should be a lot of fun! That catches you up on our lives just a little bit. I’d love for you to leave a comment to share about yours! I had plans to take a picture of my most recent trip to Fresh Thyme Market (the store I always visit when I have appointments in Lincoln because it’s my favorite!). When I got home this time, we threw all the groceries in the fridge and headed out to college soccer games. So the next day I cheated. I grabbed out a few items that I’d bought and took a quick picture. This is obviously not everything I bought (because this amount will only last us about a day and a half). But it gives you an idea of some of the fruits and veggies we’ll be eating with our meals next week. And sure enough, there’s a pound of butter. This leads me to sharing about how I plan to get everyone fed and out the door to all of our events next week. 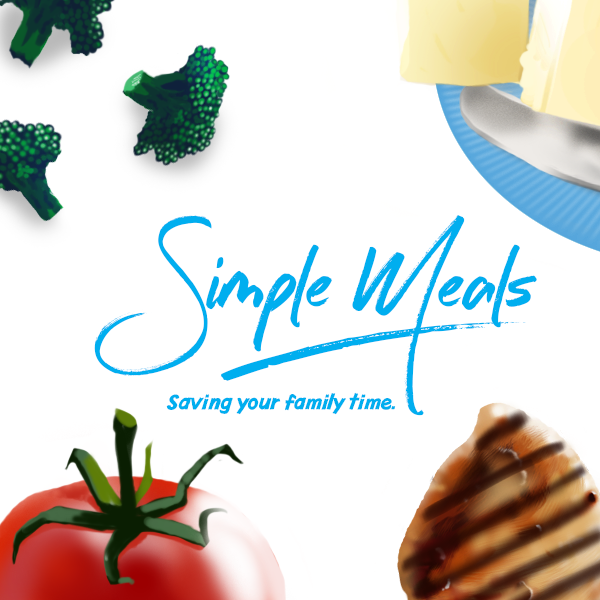 The Simple Meals program we just rolled out this week? It’s definitely for all of you. But this mama is also relying heavily on all it provides. So I guess I should say, “thank you.” Preparing this each week for you is going to be a huge help to my family and me! Today I thought I’d show you how I’m using Simple Meals to keep my kitchen life running smoothly. With this in mind, I’ll look at the calendar to see everything going on so I can plug in the best meals for the best nights. Wednesday – (Busiest day this week) Laura appointment in Lincoln; Justus full morning with piano and college class; Bible class 6:30, then rush Malachi to play practice right after – eat by 5:30…crock pot night? 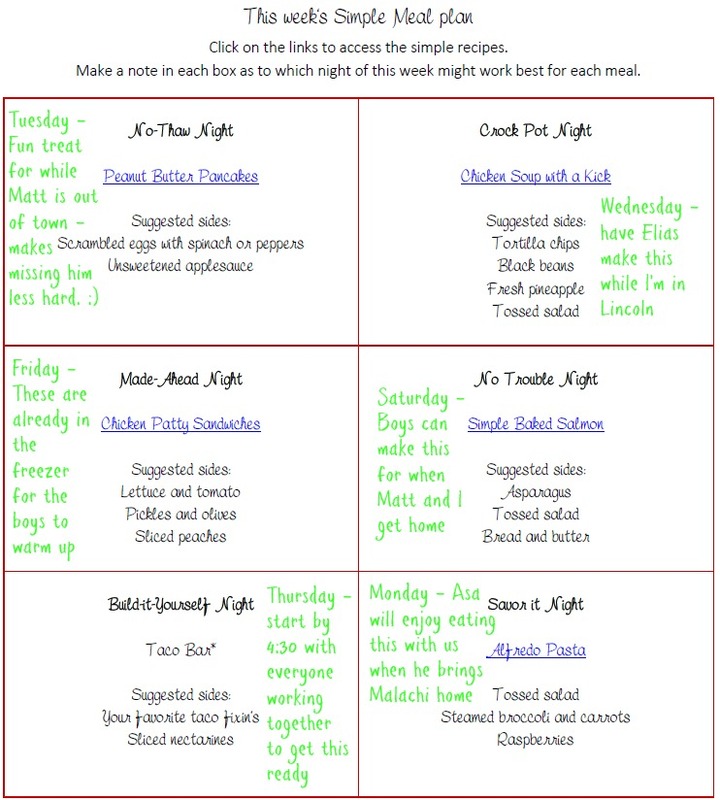 Want to print off this same menu plan to work with? You’ll find it here. I love how it makes prepping for healthy meals so much easier! Do you have a busy week coming up? How are you working to prepare? 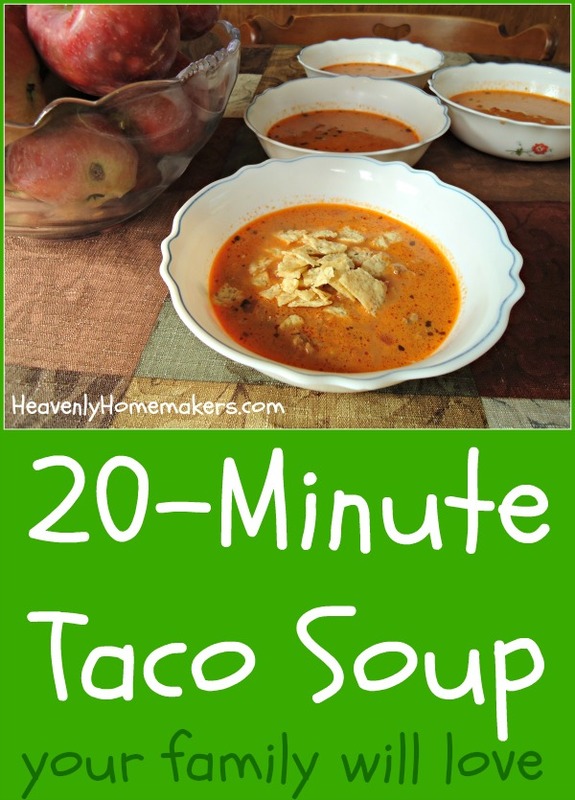 I’m going to start this post off by saying that this soup can be made from start to finish in about 20 minutes, but it actually only takes about 5 minutes of effort on your part, so you can be even happier about this Taco Soup than you were when you first saw the title. The Simple Crock Pot Chicken Soup with a Kick recipe I shared a couple weeks ago has been such a hit that I decided to try the same idea, subbing hamburger meat for the chicken. You know me. I love me some beef. You guys, adding beef to this soup was a very, very good idea. 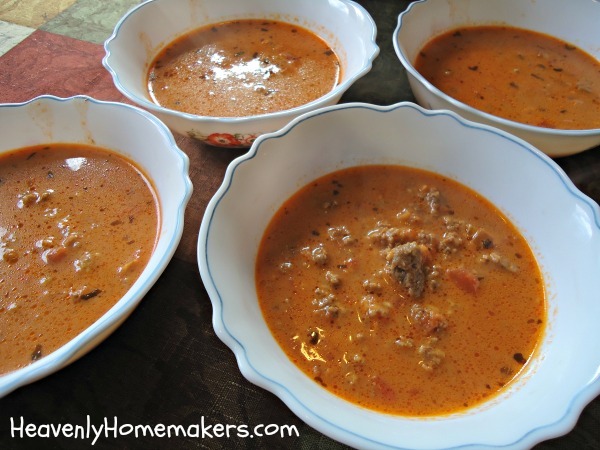 The soup came together very quickly and my family loved it like crazy. I served it with homemade applesauce (because applesauce is what October is made of) and carrot sticks (because I needed to quickly throw out a veggie to compliment this meal before we left for a soccer game). The very next day, I made this soup again because at the last minute it was decided that our oldest son, Asa, and a couple of his college buddies were going to come have dinner with us. I quickly thawed some hamburger in hot water like this (best trick ever! ), made the soup, sliced some peaches and strawberries, cut up some sweet peppers, and set out a buffet. Everyone who has tried this Taco Soup loves it, and seeing as it only takes a few minutes to make, I see myself falling back on this recipe often this winter! Why shouldn’t you make this soup in the crock pot like the chicken version? Because it’s not necessary and will not save you time. The chicken soup does best in a crock pot because you can dump the chicken in while frozen and the crock pot will thaw and cook it and after a few hours you’ll have soup. For this hamburger version, you simply need to brown the meat, stir in the other ingredients, let the cheese melt, and serve it right away. This soup and the Chicken Version are about to become your frequent dinner guests. In a medium to large sized pot, brown the hamburger meat until no longer pink. Stir in salsa and broth and heat with the meat. Cut cheese into small chunks and stir into the soup, whisking until melted. This series has been so much fun so far and I’m excited about more new simple recipes I’ve been playing with to share. More to come! It’s here! 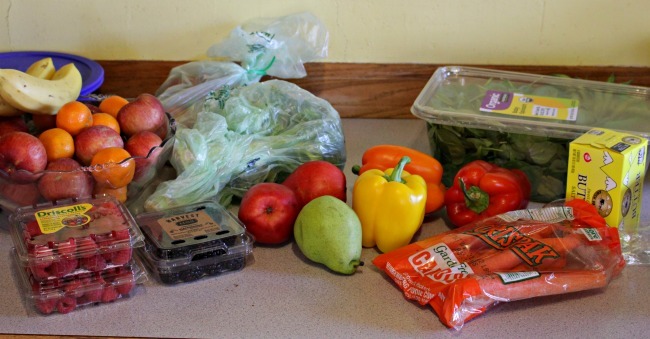 Check out our amazing Simple Meals program!